You'll want to spend less time on mouse while you're translating your document to meet a client deadline. Google's Translator Toolkit supports more than a dozen of shortcuts, so you can finish your work without taking your hands off your keyboard. 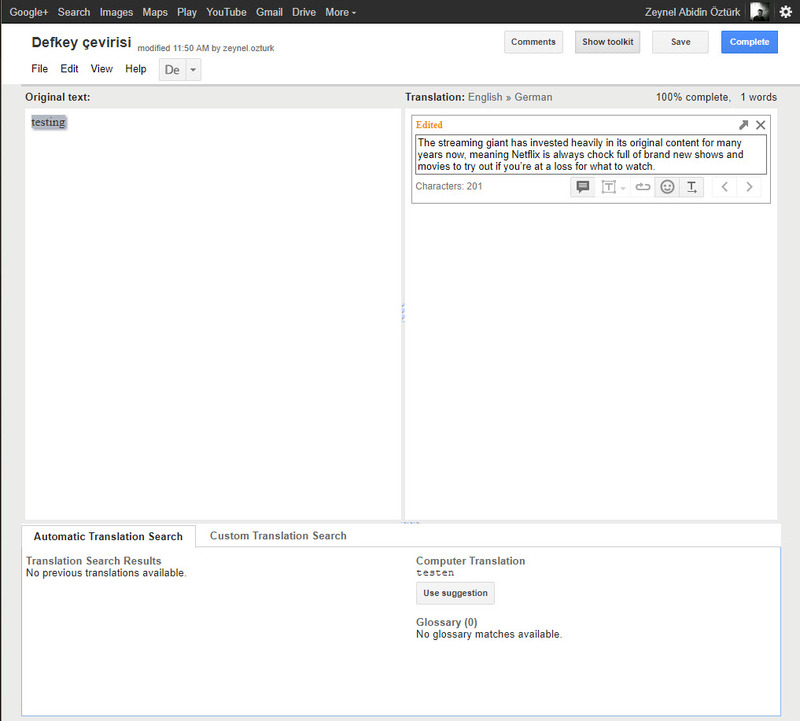 Google Translator Toolkit is a web based application that allow translator to edit automatic Google Translate translations. The tool helps users to organize their work, use shared translations, glossaries and translation memories. What is your favorite Google Translator Toolkit hotkey? Do you have any useful tips for program? Let other users know below.